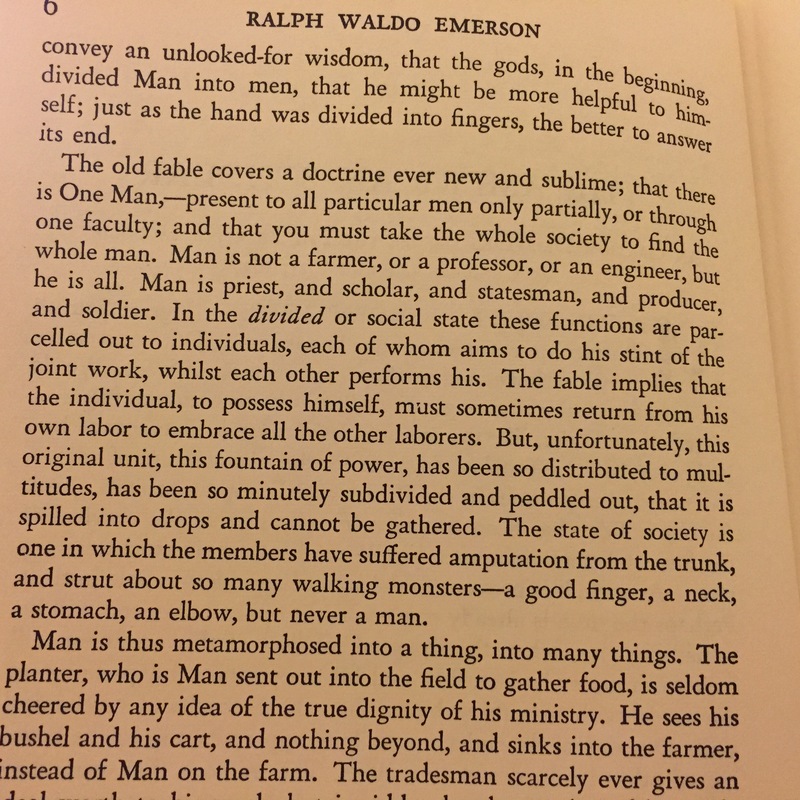 The paragraph is from Ralph Waldo Emerson’s essay, The American Scholar. While reading it before bed the other night, I wondered whether or not it was just or whether he really seemed to be describing the Marxian concept of people’s alienation from the fruit of their labors? Of course, his solution is more spiritual, combined with what might now be described as college town, farmer’s market, DIY liberalism (and Marx never really wrote out the solutions, did he? No, not really).